The first snow has fallen, the tree is up, and it's time for warm, comfort food. Cooking on a Sunday afternoon is a great way to warm up the house, try new recipes, and prepare great food... and future leftovers. In a previous enty, I mentioned Around My French Table, by Dorie Greenspan. Gary, my husband, came home late last week and asked if I had ever heard of the book. Well! I pulled it out, and he immediately flipped to the recipe he had heard about while listening to a podcast in the car. 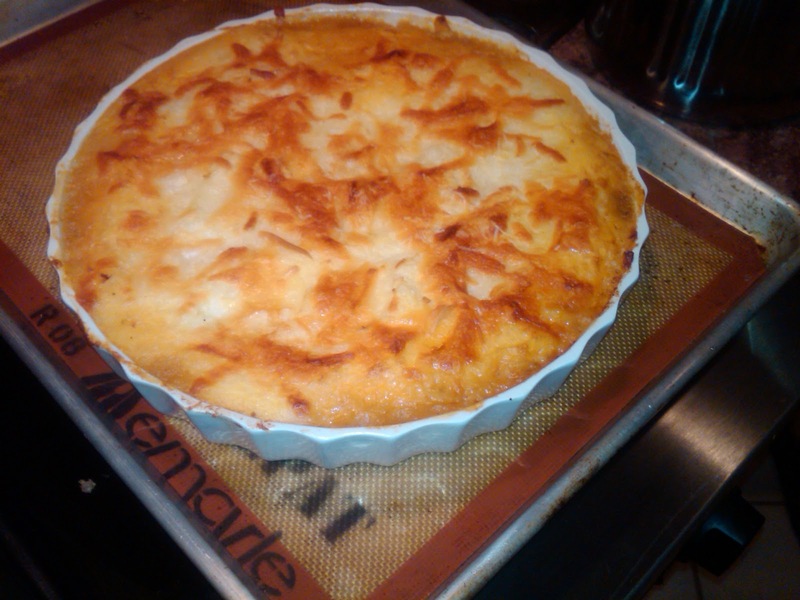 The recipe was for Hachis Parmentier, the French version of Shepard's Pie. I suggested we try the recipe, so off he went to the grocery to pick up a few ingredients. 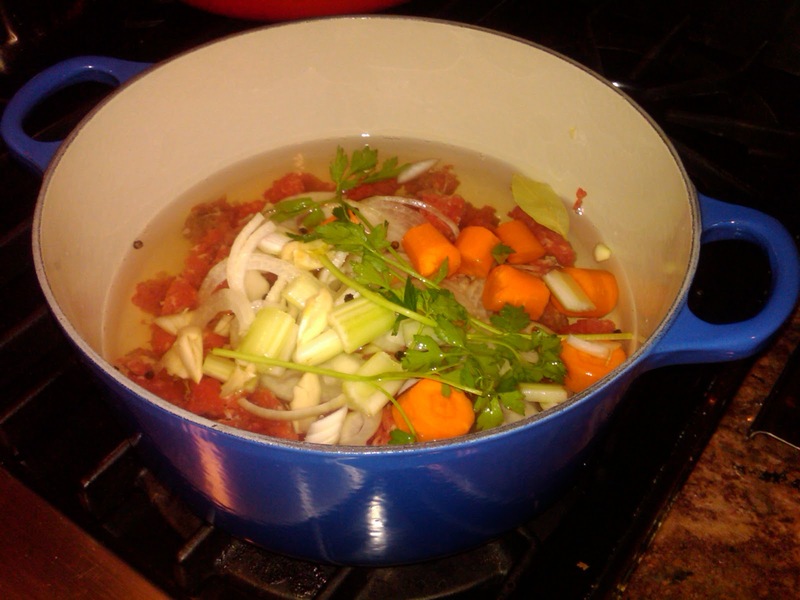 The vegetables were chopped and ready to start simmering with the beef. Here's the pan ready to start. It was just what we had hoped for. The house smelled great, the kitchen was warm, the Packer's were winning. About three hours later, here's the beef, minus the vegetable, ready for the potato topping. The mashed potato topping the beef was imbibed with a little cream, butter, and warm milk. Here's the final prep ready for the oven. 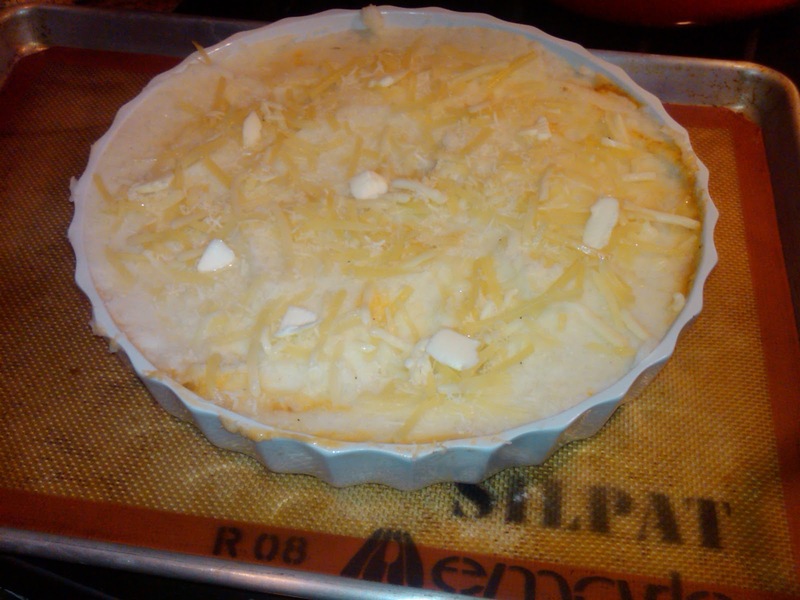 I started cooking around 3 and pulled the steamy, puffy dish out out the oven about 7. The gruyere was melted and golden brown. 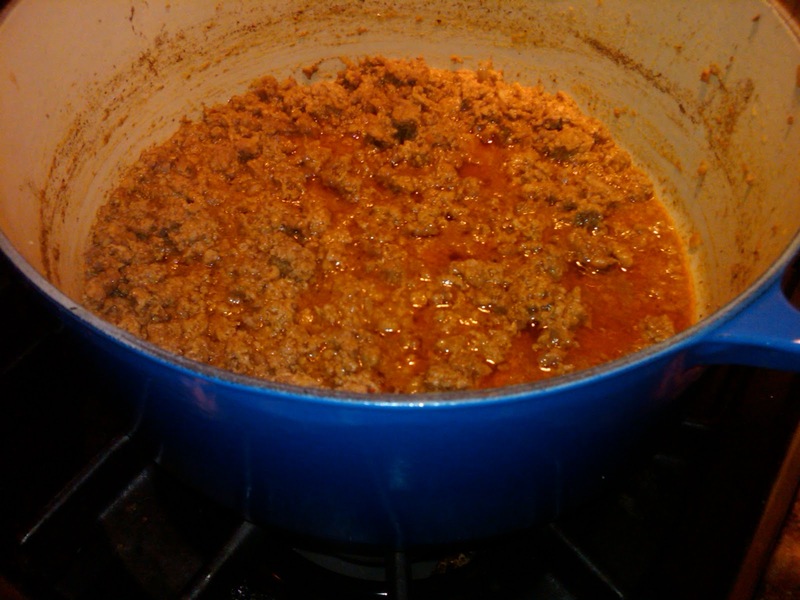 If you have some time to chop, simmer, mash and bake, this is a wonderful, warm winter treat. I have to admit that it did use several pans and utensils. It's not a one-pot wonder, but it's worth every pan. Thanks Dorie, but a great book and delicious afternoon. As you're looking for holiday gifts, I would put this book high on the list for your cooking friends. In the words of Julia Child, Bon appetit!